The Hospital Parking Management Informational Training (HPM-IT) program is not only the most comprehensive training program within the parking industry but viewed by all of our employees as the key to their personal success. 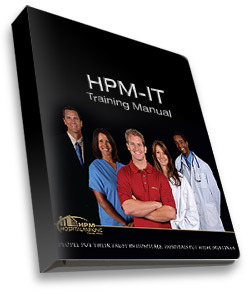 No matter what position an employee holds within our company, they are required to go through the HPM-IT program. Upon completion, each participant is awarded with a letter of certification from our corporate office. Our on-site employees are expected to carry a wallet sized card that lists their position and various highlights from their training program. This card can be referred to daily in the event an employee has any questions regarding their position and responsibilities. Our employees are thoroughly trained to provide superior customer service. Ironically, during this training, employees tend to find that what they once thought of as good customer service was at best mediocre. The HPM-IT program focuses on offering customer service that exceeds the expectations of our clients their patients, visitors and staff. An additional critical portion of our HPM-IT program includes safe driving and safety on campus. This allows us to train employees on the individual safety codes and driving regulations of your healthcare facility. Passing this portion of the HPM-IT program is essential to gaining employment with Hospital Parking Management. Designed to provide the most comprehensive training available in the parking industry, HPM-IT supplies our employees with the in-depth knowledge and hands-on experience needed to keep our company on the cutting-edge of proficient and professional service.